The last few years the real estate market in the DFW area has been booming. 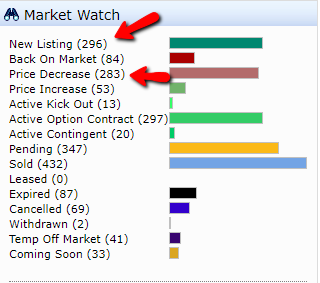 Most homes listed have been in multiple offer situations within days, driving the sales price up. The last few months, however, it seems that the market as slowed down considerably. Not that homes are not still going into multiple offers or sellers are not getting good value for their homes but there has not been the same extreme demand that to drive up prices. There are 3 indicators that the market is slowing that I have seen. 1. Price reductions. This market snapshot of the Tarrant County real estate market shows almost as many price reductions as new homes on the market. Market indicator #2. Slightly lower sales prices consistant with this time of year (historically). Market indicator #3: Personal experience. I have multiple buyers in the low $200s in the last few months that we have negotiated for the sellers to pay for $4500-$5000 of the buyers closing costs. This indicates that there is not quite the same competition for homes, especially in that price range. If you are considering buying now is a great time when there is less competition over homes and sellers are more likely to negotiate. Most of the time after Jan. or Feb the market starts to speed up again. Its absulutely FREE to use a Realtor to help you buy, even new construction and there are programs that can help buyers pay for their down payment and closing costs. Ask me about more info? Its easy to see if you qualify. If you need to buy to sell or know of anyone who does give me a call or text! While the sales price is a key factor in determining a motivated buyer that may negotiate for a higher price, there are many other terms that can make an offer more attractive besides sales price. They don’t have contingencies such as selling a home or a long time to get credit approval. Pre-approval (documents reviewed by underwriter). Sometimes if the buyers are over-eager, however, they may turn in a very high offer but back out in the inspection time so make sure you get a good option check for the inspection time and try to gauge their genuine interested in your property. Also I recomend cleints go with your gut when picking offers in multiple offer situations. I have had multiple sellers that received really high offers but the seller and I both felt more drawn to a little lower, but still a strong, over asking offer. Instead of following their gut feeling the seller choose the higher offer and the buyers ended up backing out for random reasons during the inspection time and the seller came back to the offer they felt drawn to in the first place. Write a personal letter. Many times sellers have lived in their homes for years and it has been home for them. Even if they are not incredibly attached to the home the sellers are likely to care about who will live in the home after they leave and if you can make a personal connection with them they are much more likely to pick you offer. Believe it or not I have seen multiple sellers pick offers that were lower because they connected with the buyers and liked them because of these letters. Click here to see how to write a letter. See the home ASAP! When the home goes on the market, if it is of interest to you then go see it as soon as possible and make an offer quickly if you can. Many people loose out on homes because they do not see them soon enough. Have your agent make a call. Many agents will make a call to the seller’s agent to connect with them and ask if there is anything the sellers are looking for in an offer that you can accommodate (close date, leaseback, drapes that would like to take etc.). If the agent and seller like you and feel you you are wanting to give them what they want they are much more likely to accept you offer. Sometimes little things like a leaseback or keeping drapes is the deciding factor to sway a seller to your offer. 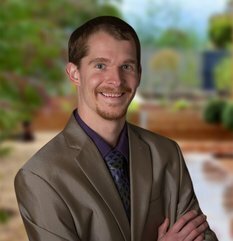 Have your lender call the seller’s agent to assure them of your financial qualifications for the loan. Get a pre-approval! 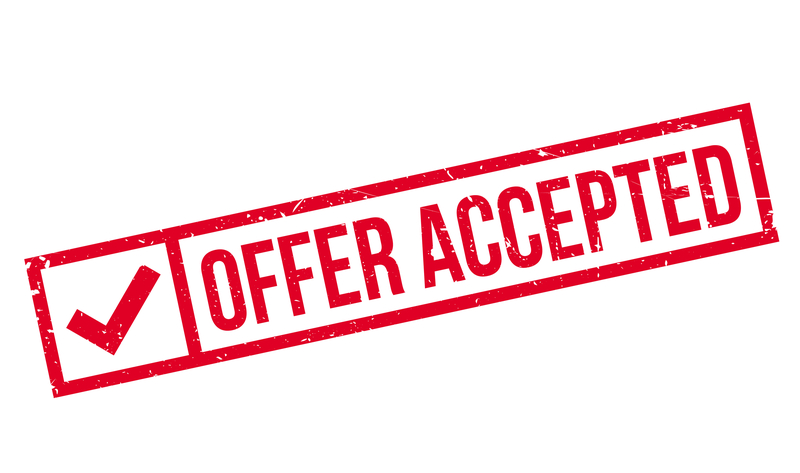 Without it your offer will normally be overlooked. Be accommodating to the seller on close dates or offer a leaseback. Agree to pay over appraised value if needed. Many homes are selling for over appraised value. Many sellers are worried that they will get an over asking price but then will have to lower it back down if the appraisal comes in low. You can make an agreement in the contract to pay more than appraised valued ($2,000 for example) if the appraisal comes back low and you could also have the seller agree that they will accept those terms as well so that neither party is worried about the contract falling out due to appraisal issues. Offer more earnest money. If provides a sense of security to the sellers. Offer more option/inspection money. If the home is clean, well-kept and there is little likelihood that you would have to back out of the contract because of repairs than you can offer more option money. If you do not back out of the contract the option money normally goes towards your closing costs so you would not lose any and the sellers would see that you are serious! Offer more than asking if you are in multiple offers that are expected to go over list price. Money talks. Offer a larger down payment if you have it. It provides the seller security. Pay for your own home warranty instead of asking the seller to pay for one. Pay title policy. Traditionally the seller pays title policy in most cases but if you can pay it than that helps your offer stand out. Don’t ask for the seller to pay closing costs if you don’t have too.